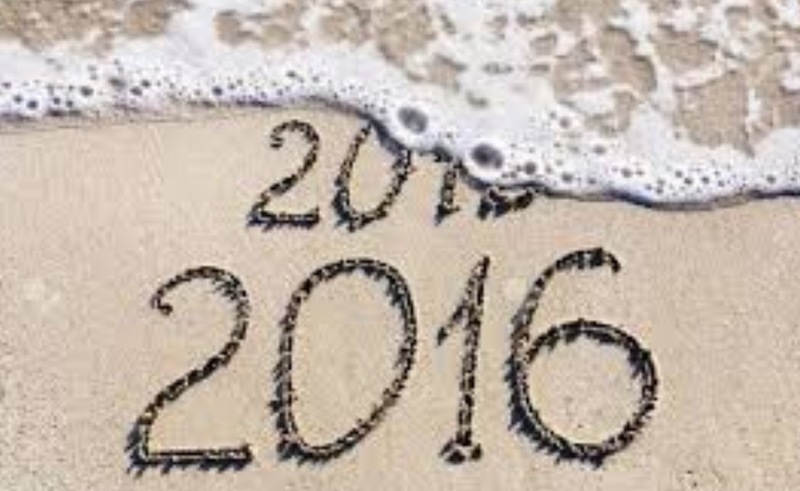 Reviewing 2015–The Best Article Summarizing It I’ve Seen! It has been a wild year. Not to sound totally gloomy, but I cannot point to a year in our history that has spiraled downward anywhere near this one. Yes, we have had crises many times, including war and deaths, but 2015 has been the year we have literally run from God and away from who we are as Americans. A little more of this kind of decline and the American Dream will be over. The Christian foundation of our national heritage will be crumbled and paved over too. I want to share an article that shows how much we have lost our way. It doesn’t even mention the biggest blows like the Supreme Court legalizing homosexual marriage, or the most polarizing political correctness of the year. It is smaller PC messes that is nothing short of insanity that are given. George Will, a brilliant columnist, writes as only he can in this National Review piece. See if you agree that it summarizes well what has transpired in 2015. In any event The Lord has been good to me and has blessed me immeasurably in 2015. I pray you have a blessed, and Christ-filled New Year. In-depth, conservative, attractive, scholarly, accessible–this is the best single-volume Bible Dictionary we have today. Revised and expanded from its popular previous edition, it covers just about anything you could think of researching. You get the typical person, place, and thing common to Bible Dictionaries. Then you theological ideas and introductions to books of the Bible. There are helpful charts in places. For example, the chart beginning on page 1359 “Millennial Perspectives on Revelation” covers 5 pages and includes an incredible amount of helpful information. The book is appealing to the eye as well. Choice pictures are found on almost every page. The maps are high quality and very helpful. You might read an entry and want more, but this the greatest amount of information that you can get in one volume. It comes in at around 1700 pages and you would have to go to an expensive, multi-volume Bible Encyclopedia to get more. This dictionary is perfect for pastors, Sunday School teachers, or any serious Bible student. I give it the highest recommendation! Sometimes following the Christmas story of the birth of Jesus Christ gets confusing for Bible readers. What time frame was involved? What happened on the night of Christ’s birth and what happened later? Did the Wise Men come the night of His birth? Etc. The Bible speads the story out mostly between the Gospels of Luke and Matthew. Because of the critical nature of His Virgin Conception and Virgin Birth, the Bible tells that story in detail. Once Christ is taken by Joseph and Mary to Egypt, the details dry up. In fact, besides the detail of His leaving Egypt and returning to Galilee where He would grow up, nothing besides a trip to Jerusalem as a twelve-year old is mentioned until He begins His Public Ministry at age thirty. Apparently, we needed to see that like Israel He must go into Egypt and then return as she did. The similarities will end there as He will succeed in every point that she failed. The chart here is designed to help you read the story in chronological order and keep your bearings. It is wonderful to see our heroic Savior in His incredible Incarnation. What great things it led to for you and me. Happy Bible study and Merry Christmas! Seasoned commentator Eugene Merrill gives us a full-scale commentary on an oft-overlooked portion of Scripture–the books of Chronicles. This volume is a fine addition to the developing series called the Kregel Exegetical Library series. I expected this to be an excellent volume based on several other commentaries by Merrill that adorn my shelves, and I was not disappointed! His Introduction fills the first 70 pages. While as scholarly as you would expect, this Introduction covers issues in a way more conducive and interesting for pastors and teachers. More bizarre scholarly sidelines are ignored. His section on the historical and cultural setting was enlightening. When he tackled authorship, he had trouble believing the traditional viewpoint that Ezra wrote Chronicles. On the subject of sources, which often gets out of hand in many commentaries, he focuses on the 14 ones that Chronicles actually mentions. The section on theology is the best of the Introduction and quite well done. The commentary proper is excellent. Even in something as difficult as the genealogies, he had fine application of theology. The charts there were a real asset too. I should mention that I found the footnotes far more helpful than in most such volumes. This volume grades out at A+ and is clearly a top volume now on Chronicles. This book tackles a subject that everyone thinks about at times–how to think about God in a world of profound hate and senseless tragedy. While the author, Mr. Oord, takes us beyond the hard feelings of questioning faith to the theology that can tries to answer the question, he even goes to science and philosophy along with the Bible. Without any fluff at all he takes us on a journey that demands we decide what we believe about the providence of God. Mr. Oord brought out a potpourri of emotions in me as I read. At times I would feel I was reading a simple believer in Christ while at other points I would think how could he believe such nonsense. In one place he would hold that Scripture is a trustworthy guide and at another he would speak of evolution as a settled fact. Here he would want to honor the Lord and His Word and there he would speak of science and philosophy as near equals to the Bible. His analysis of all the issues and what has been believed was simply superb. His writing was as good as acedemic titles get. His simple, little chart on page 83 crystallized the range of thought on providence. His description of every method was fair and probing. He was a careful thinker who would have no part in reducing the discussion to merely a Calvinistic/Armenian debate. When he finally turned to his own explanation that he called “an open and relational account of providence”, I simply could not go along with him. Though he offered profound points, I could not put them all together as he did. He figured that God’s love was the controlling factor in all God did until providence could be deemed as the Uncontrolling Love of God. To my mind he missed a major point. The Lord is better described as equally the God of love and the God of holiness/justice. I believe one could arrive at a better theology of providence with that focus. Despite disagreeing with his ultimate premise, and some lesser ones on what God could do or miracles, why do I give this volume a pretty good rating anyway? He spurred my thinking until I had to decide what I believed. I will always count such a book good and helpful. I am truly glad I read this book and have it on my shelves to refer to in the future. Carta has four new titles that Bible students will love to check out! This is the second of a planned four-title series that will make up The Carta New Testament Atlas. Steven Notley, already a co-author of the sweeping Bible Atlas The Sacred Bridge, contributes this fine volume. It is the perfect blend of history, text, pictures, and maps. Yes, it is the outstanding Carta maps! Together these features are a feast for the reader. Bible students will be greatly enriched here and will find much to expand understanding and gain background in New Testament studies. Carta has been reaching out to a wider audience in many of there later releases, and as much as i love them all, this may be the best so far. I see an additional use for this book. Are you planning a trip to Jerusalem? I can’t imagine how much better such a trip would be if you read this book first. Bible students will love this 40 page volume. It is more of a visual smorgasbord. The text is minimal so you have just enough to gain what the pictures and maps will give you. Some of the best of the famous Carta maps are here. Bible study groups, Sunday School classes, and of course, pastors and teachers will love this volume. More economical than a full-scale Bible Atlas, but perfect if you are having an in=depth study of the life of Jesus. We have here another winner! Do you ever wonder what happened to the Jewish World from New Testament times forward? Michael Avi-Yonah and Shmuel Safrai wrote this material in three larger works. What we have here is a more manageable 40 page work for Bible students. The editors have selected well in producing this for we who teach, preach, or study God’s Word. Many of us have a noticeable gap in our knowledge in this very area. This book, in beautiful, large pages gives us what larger volumes give. the difference is what you have to wade through to get the information, and of course, price. Another fine title from Carta! No doubt this a specialty title, but when we stop and remember just how much of Christ’s ministry was by or on the Sea of Galilee, this is a fascinating title. Written by Shelley Wachsmann, this volume takes the discovery of a First Century Galilean boat that Mr. Wachsmann was part of and puts the whole idea of Galilean Seafaring in perspective. The book begins with a background seafaring in NT times and even the legends of the area. All we know about travelers there from NT times to modern days is given. The rest of the book covers the discovery, the challenging excavation, and the careful preservation of this amazing discovery of a boat just like Jesus would have used. Here we have an up-to-date Baptist History textbook. They are harder to come by than you might imagine and this one boasts careful historical analysis, nice pictures, and good writing–the very things so often missing in a text book. Respected scholars Anthony L. Chute, Nathan A. Finn, ans Michael A. G. Haykin join forces to deliver the definitive textbook on Baptists for this generation. 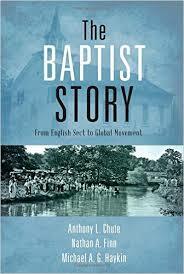 Successionists, or Landmarkers, will be disappointed as Baptists are traced to the 1600s as an English sect. Though there are some similarities to Anabapists and other groups, they followed the evidence and cannot a historically verifiable succession. Even if you are a follower of Landmark thought, you will still find a wonderful historical record from the 17th Century to today. Though you find a love for all things Baptists here, there is no hiding our less seemly features. We have had a penchant for arguing over the years and that is respectfully handled. Since the Southern Baptists have grown to be the biggest of the Baptist world, they get the most coverage. Still, a fair handling of how other Baptists groups emerged, what issues divided, and how it worked out over time is given. Independent Baptists are treated fairly and the issues why they left the Convention are accurately reported. This is a fine resource and I highly recommend it. Are you looking for a great Bible Atlas for some serious Bible study? Then you will want to give this atlas by Anson Rainey and Steven Notley serious consideration. It has much going for it. Carta maps, the best we have, are the primary asset here. Then you will learn that this is a concise edition of the most comprehensive Bible Atlas in print–The Sacred Bridge: Carta’s Atlas of the Biblical World. Fortunately, the parts missing from this volume will likely be the things least missed by Bible students. What remains is an incredible Bible Atlas at half the price. The authors brought different strengths to the project. Rainey (died in 2011) was considered the greatest scholar on the historical geography of Israel of his generation. Notley, who authored the chapters on the New Testament, is a warm believer who lived in Israel for many years and mastered his subject. I often find myself not agreeing with conclusions in the text, especially in the OT section, but there is hardly a better compendium of scholarly thought. Then there are those maps! That is what I most want in an atlas. So I use those maps and get an update on what the scholarly world is thinking. There is detailed archaeological information that is a gold mine as well. As a pastor, I have thought that The Carta Bible Atlas, by the same publisher, was the best we have. This volume is a rival and actually a fine compliment. I am glad to have both to consult. This one has more historical geography, the other more actual Bible events covered. This one has more color and visual beauty, the other has more obscure passages illumined. This is a phenomenal volume! For more on Bible Atlases, click here.